This work explores the problems of the Christian-Chinese encounter from a non-Confucian perspective, exemplified by the comparison between Jesus of Nazareth and the non-orthodox philosopher Mozi (ca. 479381 B.C.). The investigation is based on the work Mozi yu Yesu by the Hanlin scholar and convert Wu Leichuan (18691944). 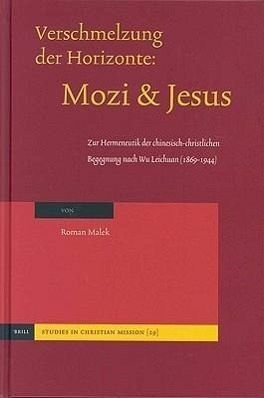 Roman Malek, Ph.D. (1984) in Sinology, Universität Bonn, is Professor of Comparative Religion at the Theological Faculty Sankt Augustin in Bonn, and Editor-in-Chief of Monumenta Serica - Journal of Oriental Studies. He has published extensively on Chinese religions including Das Tao des Himmels. Religiöse Tradition Chinas (1996/2003).